As a healthcare organization you strive to offer top quality care to your patients. 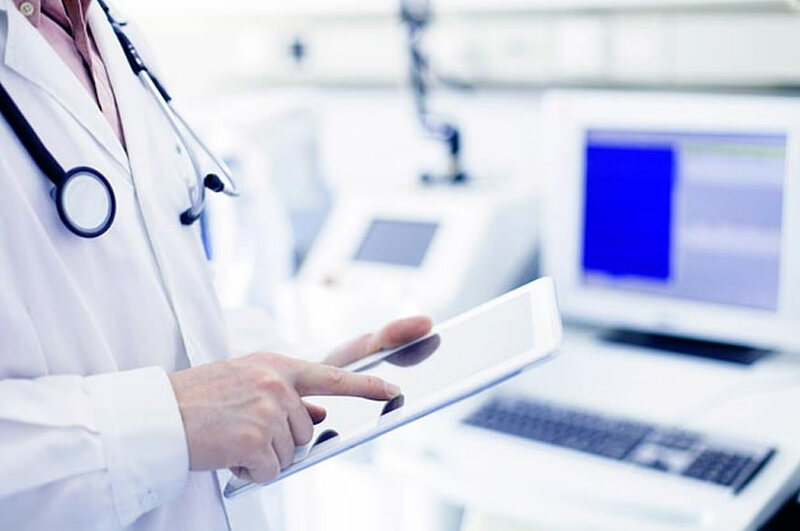 One of the key challenges you are facing is how to provide your medical staff with convenient, on-demand and cost-efficient access to patient medical records. Hospital Information Systems (HIS) cannot fully address this challenge if you have a backlog of medical records in paper format. These paper records, which are extremely costly to store and retrieve, need to be incorporated into your HIS to provide a unified view of each patient. Our value proposition to you is to eliminate your dependency on paper records and associated physical storage and retrieval costs. With iGuana iDM Medical Records Scanning Solution, you will be able to go paperless on Day 1, allowing your healthcare professionals to access complete electronic medical records (EMR) for each patient with a press of a button and to focus on what they do best – take care of their patients. With iGuana iDM you can go paperless on Day 1. Scanning hundreds of thousands of patient files requires a degree of planning. It can also take ages if you do not plan properly. Archiving medical records from A to Z is an example of improper planning that can cost you time and money. To address this issue, iGuana iDM has been designed to integrate with your appointment scheduling system (for example, UltraGenda) and to inform you which patient files should be scanned first. This means that regardless of the backlog, from a day-to-day operations perspective you are essentially paperless. In addition to a backlog of already existing medical records that need to be scanned and archived, you may have new patient related documents that need to be scanned on a daily basis. For example, these could be documents associated with newly admitted patients. These new documents can be scanned directly into iGuana iDM and automatically classified within the patient medical record in question. iGuana iDM is designed to integrate with your HIS. The main purpose of iGuana iDM – HIS integration is to provide your organization and, more specifically, your medical staff with a unified view of each patient’s medical record from one central access point – your HIS. This means that any given medical record archived in iGuana iDM is available for viewing by healthcare professionals as part of one, unified patient EMR maintained in your HIS. In addition, integration makes what we referred to above as “going paperless on Day 1” possible without any disruption to your day-to-day operations. iGuana iDM communicates with your HIS using an embedded HL7 communication protocol, providing a comprehensive framework and related standards for the exchange, integration, sharing and retrieval of electronic health information.